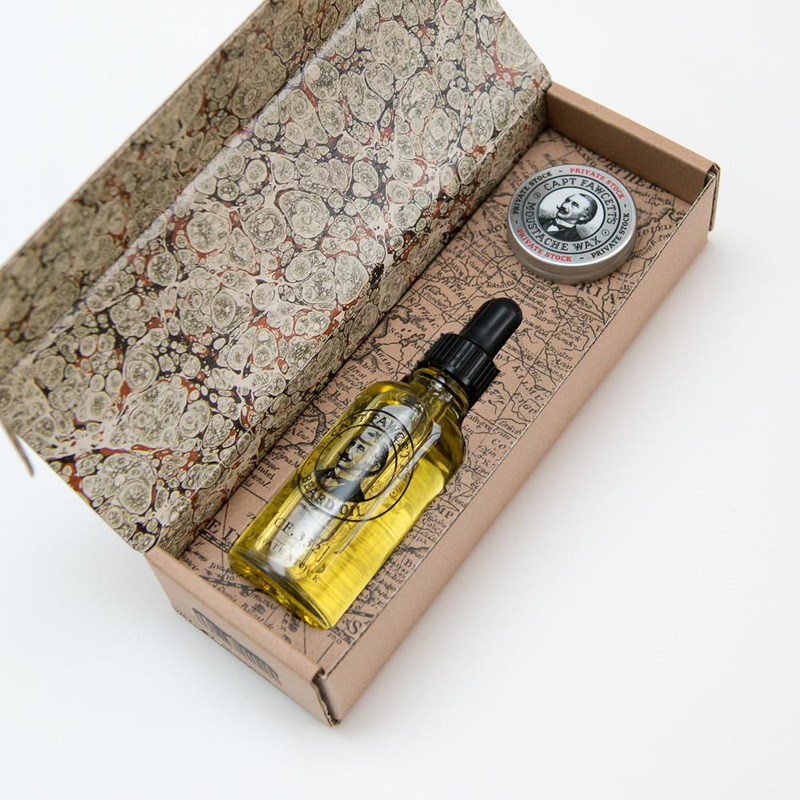 In answer to ever increasing demand, Captain Fawcett has at long last, seen fit to include his very own ‘Private Stock’ fragrance as found in his award winning (some might say legendary) Beard Oil into a rather spiffing ‘medium hold’ Moustache Wax. When used in conjunction these essential grooming kit items are just the ticket for the hirsute Gentleman about town. 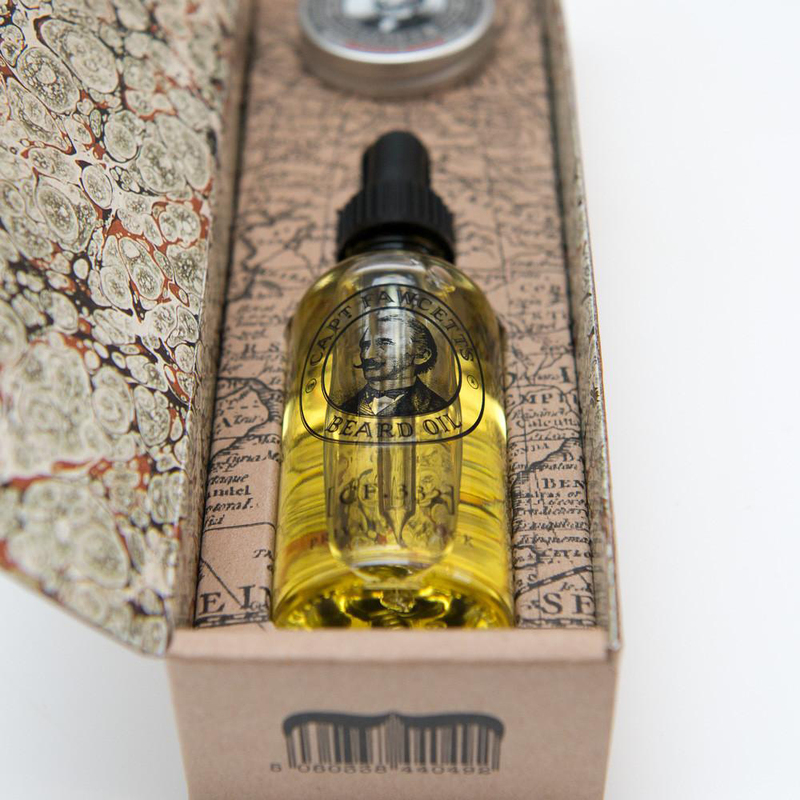 Beard oil - Dispense a few drops of Private Stock Beard Oil into the palm of your hand & smooth into your Beard. Gently comb through for a tip top finish. 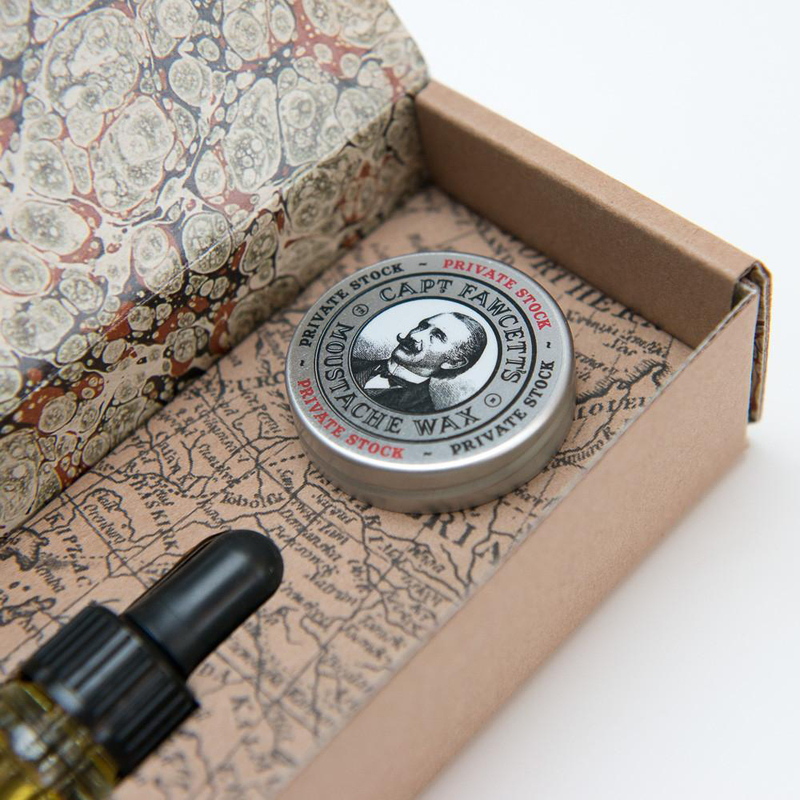 Moustache wax - Keep your wax warm in either a waistcoat or trouser pocket, then use the back of your fingernail to remove a small amount of wax from the tin. Soften between thumb and forefinger, smooth into your moustache in an outwards & upwards motion. Adding a little wax in a final twisting flourish to your by now perky tips. You have 14 days, from receipt of cancellable goods to notify the seller if you wish to cancel your order. Delivery will be via Royal Mail, first-class delivery (£5.00). Your order will usually be dispatched within 2 working days. 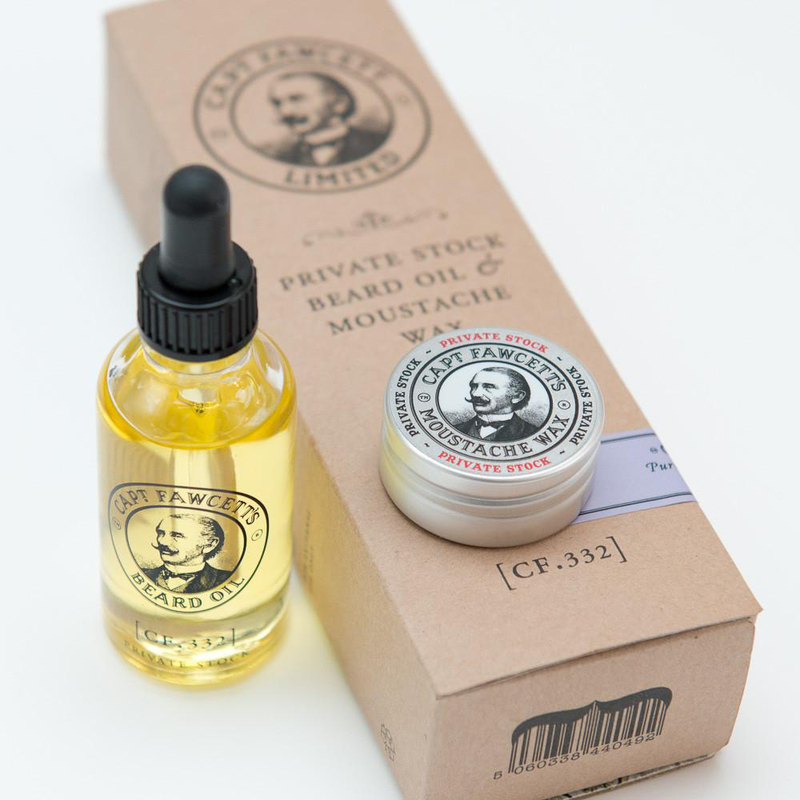 We will notify you by email once your Private Stock Beard Oil & Moustache Wax Gift Set has been dispatched.